With Oplift you get peace of mind that your business stays compliant in the easiest way possible. Employees don’t know where to look for your policies and procedures? Are your documents spread in too many different places across your business? With Oplift Engage, you can clearly organise your documents under relevant headings and sections. 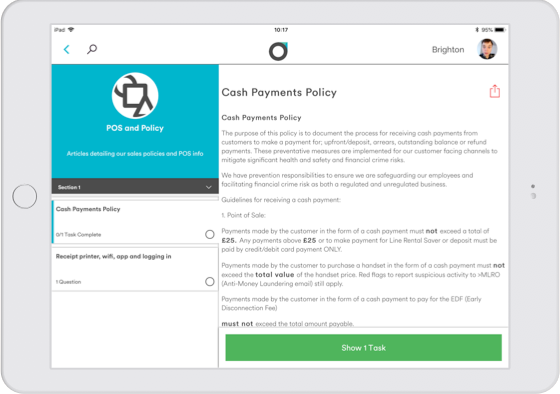 This means that your employees can get to your policies within two taps, it doesn’t get much easier than that! Staff forget to read policies and procedures? Oplift Engage’s notification feature means that staff are reminded so that they never forget. These will show up even when the app is closed. Diminish confusion amongst staff, they will know what to complete and when to complete it. Long PDF’s make staff not want to read? Make your documents more attractive, break compliance material down into stages with clear section titles. This makes for easy navigation and readability. Your staff struggle with the same areas of knowledge? Oplift Engage’s learning feature allows you to see common understanding issues across your entire estate. 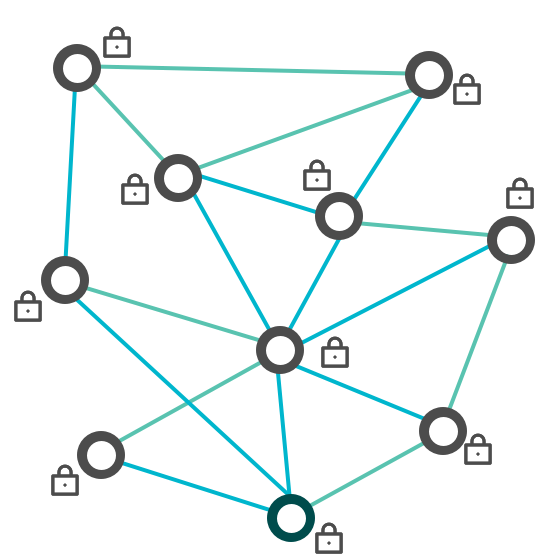 It can push training in the appropriate areas to plug any knowledge gaps. Staying up to date is a struggle? Having to reprint documents across the whole of your business is timely and frustrating. Oplift Engage allows you to quickly amend compliance material and ensure all of your estate is up to date within seconds. Paper checklists take too long to complete? Virgin Media reduced the time it took to do their checklists by 80%. They can be done in the moment, so no more filling in at the last minute. They are consistent so staff aren’t completing them at different times. Always readable, no more having to try and read handwriting. No more assuming staff have read items, the acknowledgements feature means all employees acknowledge that they have read and understood all compliance material. Staff don’t remember to re-read? Oplift’s frequency feature on ‘acknowledgements’ means you can set how often you would like your policies and procedures to be read and acknowledged. Employees don’t understand your compliance material? Oplift Engage’s checklist feature means you can check your staff’s understanding. These are automatically logged and you can set time frames for when they need to be completed by. Your staff don’t have time to learn every day? 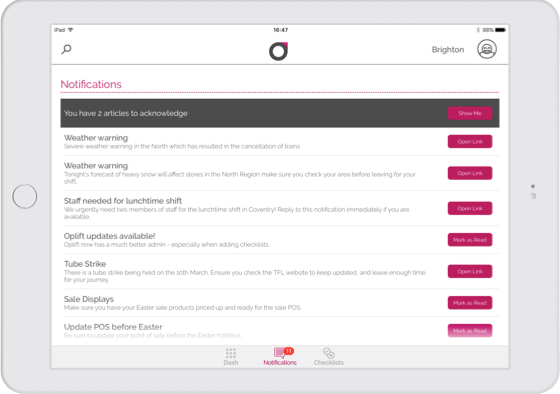 Oplift’s learning feature enables microlearning which takes 1-5 minutes, you can customise playlists for each area of compliance which your staff may need to know. Is reporting a hassle requiring extra time which means staff rarely do them in the moment? Oplift Review allows you to report on people, locations or things wherever you are. Whether that’s a regional manager visiting a store, a driver checking their vehicle or a manager performing a staff review. 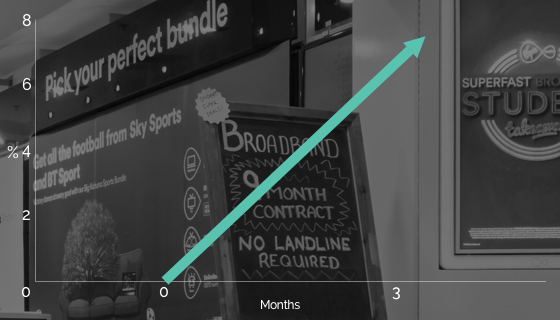 Virgin Media’s number of store visits has increased because they now have set times for when they need to be done – these are digitally logged. Reports lack detail because there is lack of time? Users can quickly snap photos for reference and add notes for extra information. They can set actions for anything that needs attention. No more uploading multiple items on different platforms. Ensure that staff are acting in accordance to your compliance regulations. Ensure that locations across your estate are meeting all requirements and are up to standard. Ensure all objects, materials, vehicles or equipment are meeting requirements and up to standard. Are you continuously facing the same problems? 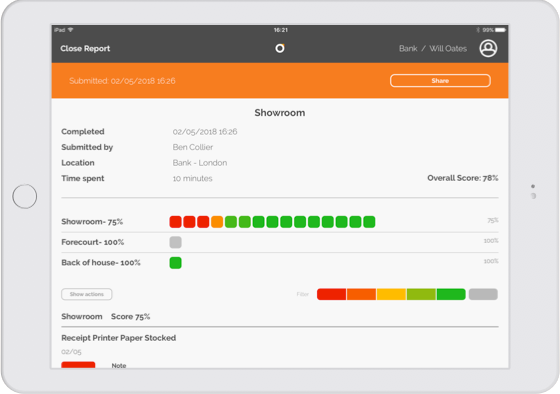 An overall score and colour report will show after each assessment allowing you to gather oversights and data for each area, person and object in your business. No more trying to collect data from various different sources and producing a report yourself which takes time and isn’t always reliable. With Oplift Review you can start finding trends and issues across your business, which will help you create smoother operations. You have lengthy processes in place to try and keep your customer’s data safe and secure? Oplift Engage’s acknowledgement feature gives you peace of mind that staff are up to date on all policies and procedures. Oplift’s microlearning feature ensures that all staff understand new policy updates, with short bursts of training which they can do every day. Oplift Review lets you easily monitor and report that compliant practices are always being performed. Not confident about your customer’s security? 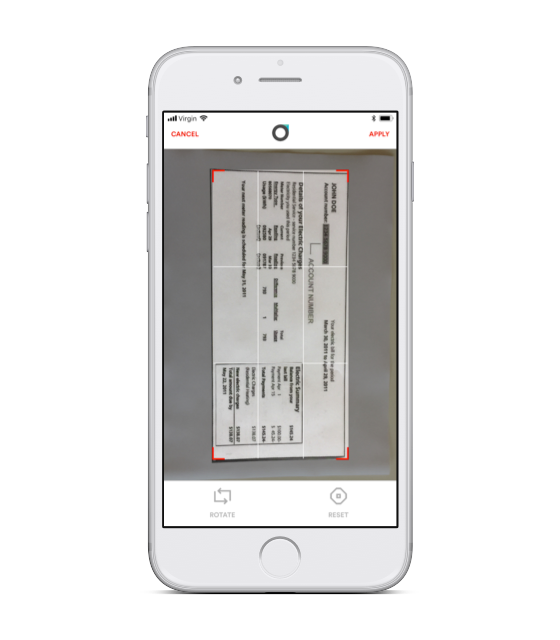 Improve security of all customer information with our scanning app powered by Oplift Extend. It allows you to capture sensitive information which can be sent to the relevant places, it is then automatically deleted. All of your customer’s sensitive information will be processed through the app but none of it will be stored or saved which means no breach of data protection. 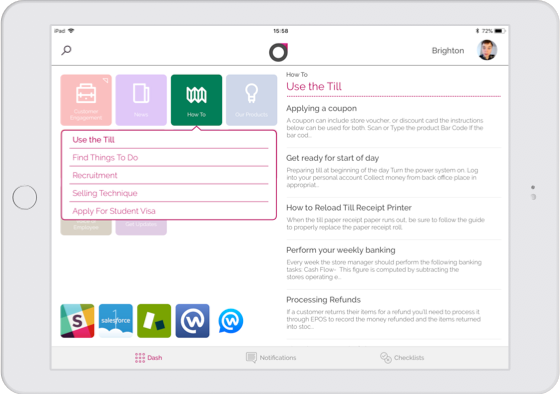 The app makes processes quicker, hassle free and compliant.